We have been in business as Lincoln Clutch & Brake Supply since 1974. We supply clutch and brake parts for nearly anything that moves. We also offer a fully staffed machine shop and rebuilding facility that between them have nearly 60 years of experience. We have a fast delivery service that covers all of the Lincoln area and will get your parts to you on timely manner. Here at Lincoln Clutch & Brake we ALWAYS put the customer FIRST!!! We know our parts and products. We've got the best merchandise at the right price. We are proud to announce that we NOW stock Top-Quality Moog Chassis Parts. Moog is trusted throughout the industry and consider the leader in chassis parts. So now you can find them here, from suspension parts like ball joints and control arms to sway bar links and coil springs. We also offer steering parts, ranging from inner tie rod ends and outer tie rod ends to pitman arms and idler arms. NOW for the cherry on top of the cake, we offer ball joint and bushing removel as will as pressing new ones back in. 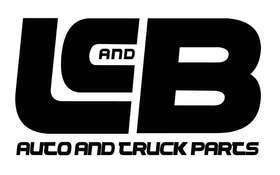 So remember, LC&B as your one stop chassis problem fix!!!! NEED NEW BRAKE LINES MADE? If your old lines need replaced, bring them in to LC&B and we can match and bend new ones that day. Any Make or Model. 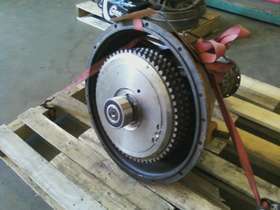 JUST LIKE NEW --- COMPLETE PTO Clutch Rebuild. Let us help you get your PTO and Rockford Clutch back up and working. GIVE US A CALL AT 402-475-9003 and let Mike, Dave or Joel help you. We install and ream spindle bushings for almost every Make & Model of Vehicle on the road. From Antique Cars to Heavy Duty Trucks. LC&B also KEEPS a large amount of Medium Duty Truck King Pins Kits in STOCK!!!! BRING YOUR LATHE BACK FROM THE GRAVE!!!! IF YOUR IN NEED OF A BRAKE LATHE REHAUL, GIVE US A CALL!!! WE ALSO CARRY A LARGE INVENTORY OF BRAKE LATHE PARTS AND TOOLS FOR MOST LATHES, INCLUDING SILENCER BANDS, BRAKE LATHE BITS AND ADAPTER SETS. NEAPCO - Innovative Driveline Solutions for OEM and Aftermarket Applications. Neapco designs, manufactures driveline systems and service parts for Tier One automotive and light vehicle, commercial vechicle and heavy truck, small and all terrain vehicle, agriculture, off- highway contruction. We can replicate most OE Brake and Clutch hoses using OE Design fittings that comply to DOT Standards - usually while the customer waits. Hoses can be made for any type of vehicle with hydraulic brakes - From Motorcycles to Industrial Equipment. All hoses are pressure tested to 3000 psi and comply with all DOT standards. We offer banjo fitting, inverted flare, metric inverted, and metric bubble flare. The Stainless braid hose is oil resistant and can be used for Industrial Equipment that uses mineral oil as brake fluid. They can be made with rubber insert for DOT shake off requirements or aluminum insert. If your looking to replace those wore out shoes on your motorcycles, don't buy OVER PRICED new shoes, bring them in and let our brake relining department save you some CASH!!!! LE engineers the World's Finest Lubricants in order to achieve the highest possible level of performance. For more than 70 years, Gunite has provided innovative and reliable wheel-end components for the trucking industry. The world of wheel-end technology is one of constant change. Continuous evaluation and modification of design, development, and manufacture of parts and equipment are essential in meeting the ever-evolving demands of class 5 through 8 trucks and trailers. Today, Gunite continues to be a leader in the heavy duty industry with new products based on innovations in metallurgy, product design, testing, and manufacturing. In so doing, Gunite products are offered as standard equipment on most medium and heavy-duty trucks manufactured in North America. Thank you, our customers, for allowing us to serve you and assist you with all your automotive repair needs. Lincoln Clutch is built on customer service, spirit and pride. We have a rich history that's both friendly and casual, but our ultimate goal is to exceed your expectations.